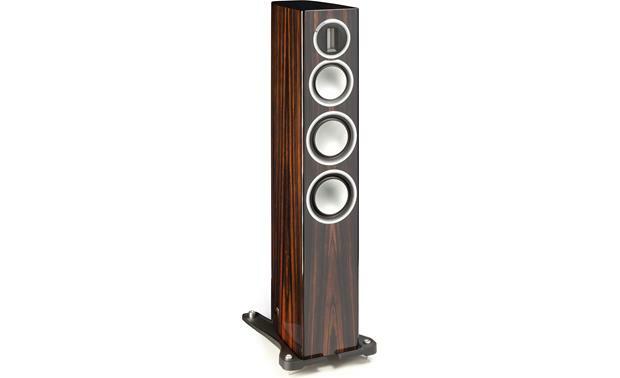 Monitor Audio's slender Gold 200 floor-standing speaker takes up surprisingly little floor space, but there's nothing small about its sound. This speaker's rich midrange, taut, tuneful bass, and smooth, airy highs will fill your listening room, and bring your music to life. As part of Monitor's latest Gold series lineup, the Gold 200 offers all of the goodness that made previous Monitor Audio Gold speakers so exceptional, while adding refinements that enhance its performance. The speaker's tight, responsive bass and dynamic mids come courtesy of Monitor's twin 5-1/2" C-CAM woofers and 4" midrange with RST® (Rigid Surface Technology). Created from the same lightweight alloy as the tweeters, these drivers are strengthened and stiffened even further using a dimpled RST cone surface. The cone also takes the form of a continuous radiating dish, eliminating the central voice-coil opening and dust cap to allow a longer voice coil and larger motor to sit behind the cone. This more efficient assembly provides greater drive force, longer excursions, and lower distortion, for cleaner, more extended and accurate bass definition. Meticulous engineering and hours of focused listening go into each Gold series speaker. The Gold 200's woofer, midrange, and tweeter are connected to an equally sophisticated crossover network made with audiophile-grade components. 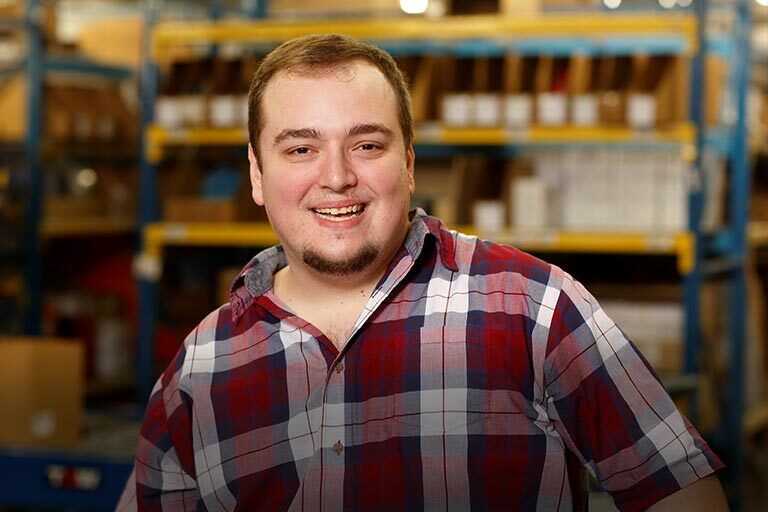 Monitor also chose their Pureflow® Silver cabling to make all internal connections. Together, these refinements give you a smoother, flatter frequency response, more powerful dynamics, and faster transients, for sound with real presence and immediacy. Monitor Audio speakers have long been known for their sturdy, vault-like cabinet construction. The Gold 200's well-damped, cross-braced enclosure features a curved profile with large-radius edges. This design helps further increase cabinet rigidity while reducing both external diffraction and internal standing waves that can color sound and reduce accuracy. 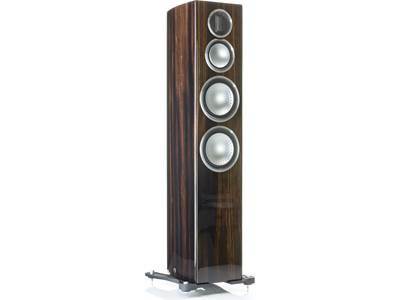 The speaker's exterior comes clad in a mirror-like black piano lacquer or real walnut veneer finish. Eleven layers of lacquer are built-up individually to achieve a luxuriously deep finish. Once assembled the real-wood cabinets are hand finished to ensure absolute precision in the joinery and in the grain matching between each pair. Monitor tops off each speaker with an attractive "floating" magnetic cloth grille that features invisible attachments to give the Gold 200s a clean, classic look whether you use them with the grilles on or off. My advice try it with our own amplifier it can make a big difference. My Cyrus 8xpd did not match at all, too bright, too thin, music fatique. Now I have the Arcam A39 and now it near perfect. A good powercord is also reconmended. 3-Way Speaker Design: The Monitor Audio Gold series 200 floorstanding loudspeaker employs a 3-way driver design with a single C-CAM ribbon tweeter, one 4" C-CAM/RST midrange driver and two 5.5" C-CAM/RST bass woofers. This 3-way configuration delivers an impressive natural, detailed, dynamic audio performance. Dual Bass Drivers: Dual 5.5" bass drivers featuring a larger piston area offer higher efficiency and better dynamics. C-CAM Technology: C-CAM driver technology is used throughout the Gold series 200 floorstanding loudspeaker, providing coherent tonal balance and sonic signature across the entering audio frequency spectrum. MDF Curved Enclosure w/ Magnetic Grille: The G200 employs a MDF enclosure for accurate, uncolored sound. Rigid 20mm MDF construction is used throughout the enclosure with radial and cross-bracing techniques for high rigidity and low cabinet coloration. In addition, the curved cabinet profile aids in increased rigidity and reduced internal standing waves. In addition, the tower speaker comes with a magnetic grille. HiVe II Bass Reflex Port: The G200 uses a bass reflex cabinet (single rear firing port) with Monitor Audio's HiVe II port design for greater efficiency and bigger bass response from a slim tower speaker. The HiVe II bass reflex port is shaped to have the same effect on airflow as a gun-barrel on a bullet. Rifled grooves inside the port help to accelerate the flow and reduce turbulence, so air moves in and out of the port more efficiently, for a faster more dynamic bass response. High Quality Crossover & Wiring: The G200 uses high quality crossovers (LF/MF=400Hz, MF/HF=2.6kHz) with premium grade polypropylene film capacitors. The speaker also utilizes "Pureflow" silver plated OFC copper internal cabling. 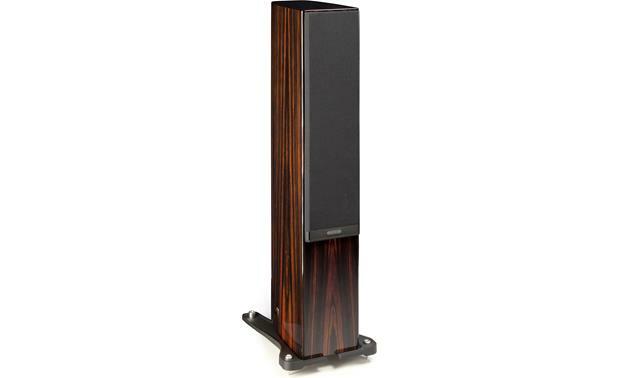 Base with Rubber or Spiked Feet: The Gold series 200 floorstanding speaker includes a two-piece base which will need to be installed using the included bolts. The G200 comes with four rubber feet that screw into the base for use on hardwood or tile floors. It also includes four spikes which screw into the rubber feet for carpeted floors. The spike feet add approximately 0.875" to the height of the speakers versus the rubber feet.